Jennifer Liston Munson works with the unlikely combination of two disparate media: c-prints and oil paintings. Her alluring, faded imagery are abstractions of Polaroid’s taken in motion during her travels. 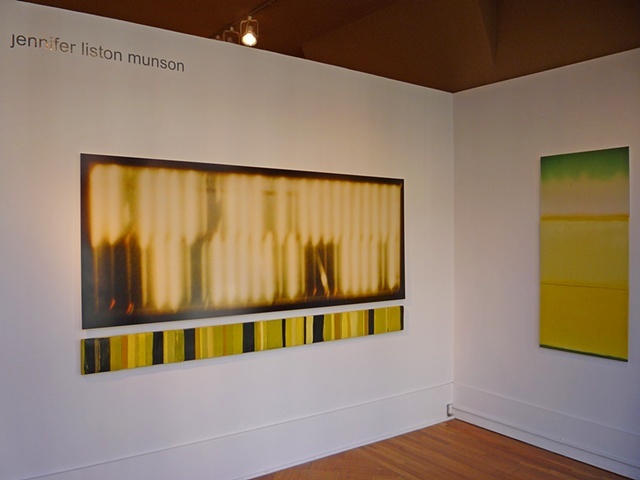 Through the enlargement of the original grainy Polaroid, and through the translation from one medium to another, Liston Munson further distances her imagery from the particulars of place, and recreates the perceptive experience of a glance.